Fisheries and farms across the globe support the livelihoods of 59.6 million people who rely on fishing and fishing related activities for income, and about 3.2 billion people who depend on fish as an important part of their diet. But illegal fishing is threatening the food supply of coastal communities as fish populations decline due to overfishing in areas fishers are not permitted to access. 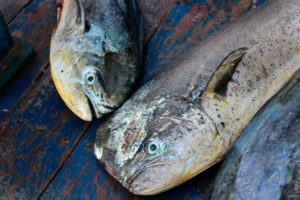 Fortunately, in Peru—one of the world’s leading producers of mahi mahi and squid—the government is taking action to clamp down on illegal fishing. Peru’s jumbo squid (Dosidicus gigas) and mahi mahi (Coryphaena hippurus) fisheries represent approximately half of the global catch of these species, with average annual landings of 468,363 and 49,687 metric tons, respectively. 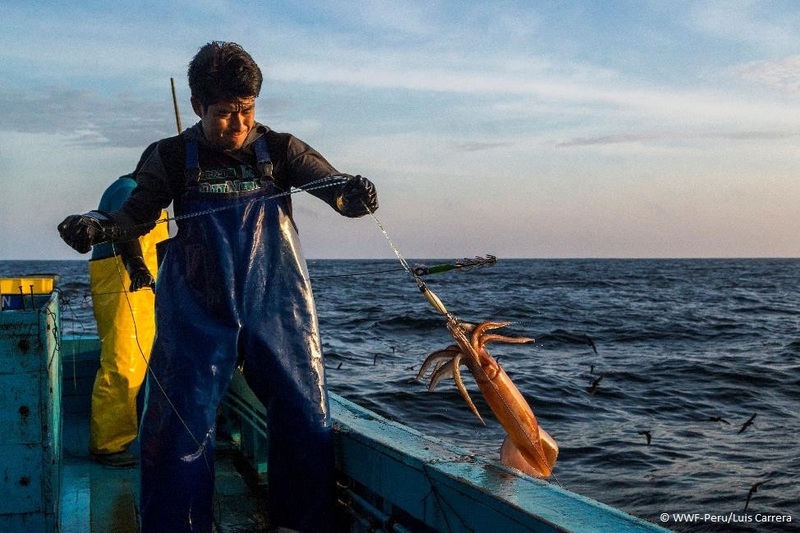 While most of the fish may be caught and traded legally, over 60% of vessels in Peru’s artisanal mahi and squid fleet are unlicensed and unregistered, making it difficult to verify the products’ provenance. To address this issue, WWF has been working with the government for the past two years to implement a pilot program to create and strengthen fishing cooperatives which will reduce illegal, unregulated, and unreported (IUU) fishing. As part of the program, fishing cooperatives are required to implement a catch register and develop a traceability system; in exchange, the members are provided with fishing licenses and vessel registration. Two cooperatives in the fishing coves of La Islilla and La Tortuga in the Piura region of northwest Peru are working with WWF to pilot an electronic catch documentation scheme, with the goal of using it as their required traceability system. 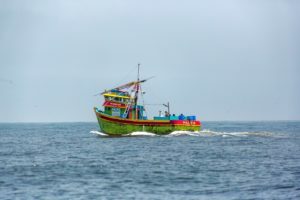 On June 28, the Ministry of Production delivered permits to more than 500 boats and approximately 360 vessel owners in La Islilla and La Tortuga—estimated to represent 20% of the Peruvian mahi and squid fleet and support 2,000 fishers. Peru’s mahi fishing sector has come a long way in five years. Formalizing cooperatives will enable better control and oversight of the fishery by its fishers and the government. By ensuring fish are caught legally, sustainably, and transparently, the sector will ensure a future for this critical resource while also providing U.S. companies and their customers with greater confidence in the seafood they’re buying. Website design and production by Experience Lab.